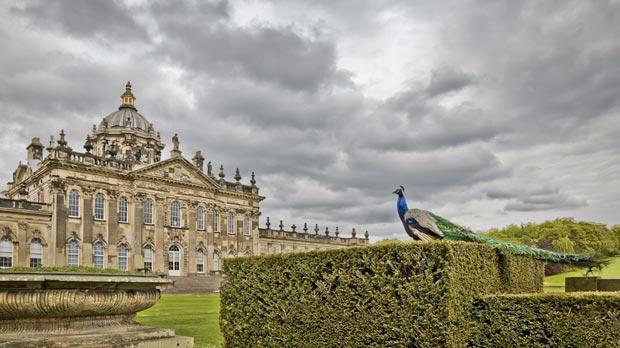 A peacock admires Castle Howard. 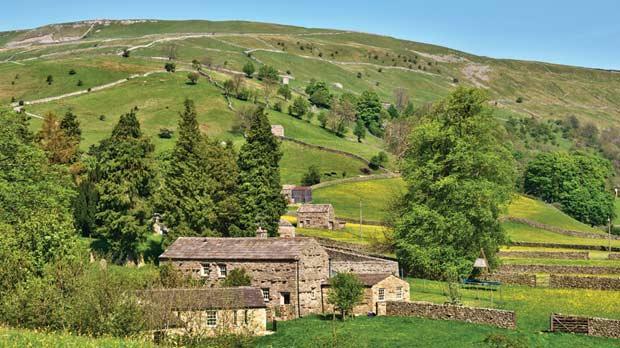 A farmhouse in the rolling hills of the Yorkshire Dales. Fishermen’s houses at Robin Hood’s Bay. The charming market town of Skipton. 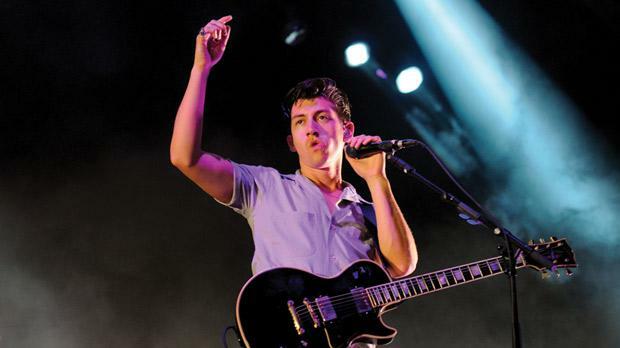 Arctic Monkeys are evidence of the vibrant music scene in Sheffield. 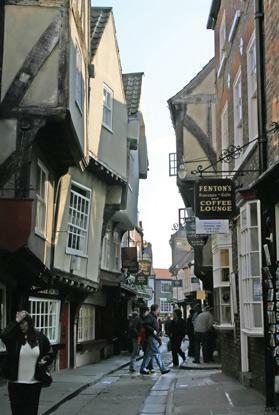 The Shambles is York’s most famous ‘ginnel’ (narrow alley). Yorkshire? In a list of nominations including Istanbul, Paris and Barcelona, this northern English province was voted Europe’s leading tourist destination at the World Travel Awards, known as the ‘Oscars’ of the tourism industry. Rude, quite possibly. Direct, most definitely. Residents of this English county self-proclaim their land “God’s country”, and if the UK was dissolved they’d be the first to claim independence. They come from a long line of stoic working-class folk held together by infinite social glue. Nowhere in England can you find a group of people with such pride. They’ll ridicule where they live. And they’ll ridicule you, the fair visitor to the home of pork pies, pints of bitter and abandoned industrial revolutions. That’s just how they show affection. So while the World Travel Awards highlighted its stately homes and vibrant countryside, the full experience involves immersion with its customs and people. We take a look at how to get the best out of “Europe’s leading tourist destination”. Yorkshire has been around for almost 2,000 years, and the city that provides its name was founded by the Romans in AD71. Enclosed within thick, medieval city walls, York is the region’s most visited attraction. With the largest Gothic cathedral in Europe, a surviving castle, and various disintegrating Roman ruins, York has the kind of attractions that magnetically pull coaches full of day-trippers. However, it’s the city’s labyrinth of ‘ginnels’ (narrow alleys) that most effectively display the past. Cutting between 19th-century pubs and 17th-century theatres, they’re far more intriguing than finding a 50-strong tour group in red hats ambushing your walk along the city walls. A Victorian shopping arcade in post-industrial Leeds. Dotted around Yorkshire are immense stately homes, all royal seats of various earls and countesses. Castle Howard near York and Harewood House in Leeds are the grandest examples, both resembling something from a Jane Austin novel. Carefully cultivated hedges and stone water features dominate impressive gardens, and cafe terraces serve high tea with scones. Showing they move with the times, Harewood House has added some child-friendly attractions. Behind a three-metre Roman statue and the royal garden you can find a penguin pool. Local markets have been the centrepiece of Yorkshire life for 1,400 years. 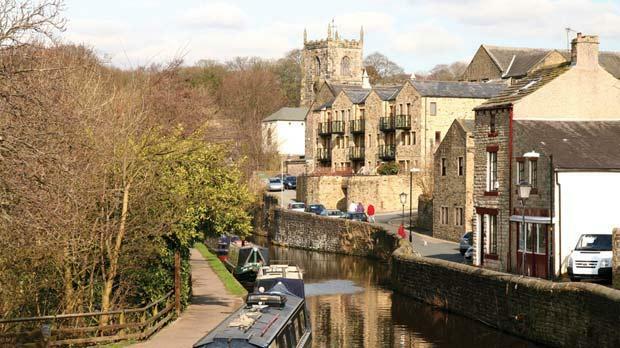 The historic towns of Ripon, Skipton and Bridlington have retained a quaint atmosphere reminiscent of something you might find in a 16th-century costume drama. On market days, countless stalls invade high streets of yellowstone buildings, and pensioners push around tartan-lined fabric trolleys. You’ll be surrounded by relics of the past: cute bridges, castle ruins, ancient cathedrals and second-hand woollen jumpers. Remember to start and end all market stall explorations with a “brew”, an oversized mug of Yorkshire tea. Everywhere in Yorkshire has a market. For a truly unique experience try Barnsley or Wakefield, two decaying towns still reeling from the collapse of the coal industry. They might not be pretty, but their people are indelibly warm-hearted and still sometimes walk around in traditional flat caps. Find a ‘greasy spoon’, a rundown cafe specialising in heart-attack-on-a-plate fried breakfasts, but don’t order coffee; that’s what the ‘southern fairies’ drink. Yorkshire’s coastline is rugged, ravaged by nature and slowly crumbling into the North Sea. Undulating white cliffs are topped with uncontrollable grass and coastal walking paths. The occasional bays are home to charming seaside villages, each competing to be the best purveyor of fish and chips in the world. Nothing beats eating from a paper wrapper as you walk along the sand, grease all over your fingers and fighting off the seagulls. 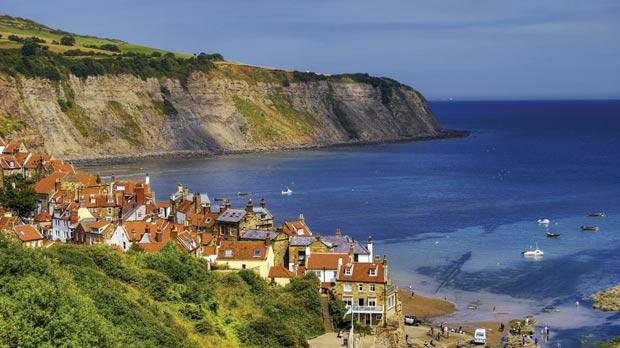 Robin Hood’s Bay is perhaps the region’s best-preserved town, the tiny 200-year-old fishermen’s houses slanting inconceivably on narrow streets. Whitby is equally picturesque, surrounded by miles of deserted beach to explore. For a glimpse into Yorkshire’s boisterousness there is Scarborough, famed for candy floss and huge arcades filled with two-pence gambling machines. But nature is the real draw. All along the cliffs there are quiet campsites overlooking the water, yet within walking distance of a centuries-old pub. Cities come and go in Yorkshire. Coal, wool, steel and textile industries have all risen and fallen. Life goes on, and so do the buildings from each city’s decades as an economic powerhouse. All over Bradford you can find 19th-century mill buildings, breathtaking in their size and simple grandeur. Lister’s Mill was the largest silk factory in the world, and Salts Mill was the world’s largest industrial building. Their Victorian architecture has been carefully preserved, and now houses art galleries and museums. But don’t eat at their cafes – head to the curry house instead. With its huge Yorkshire Pakistani community, Bradford has the most authentic curry houses outside of the Asian sub-continent. 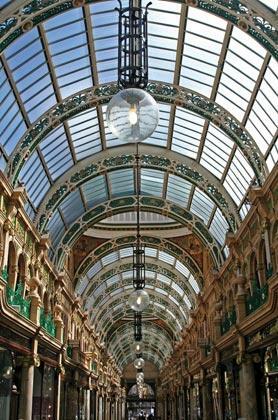 In Leeds and Sheffield city centres, the Victorian splendour encases boutique shopping arcades and old-fashioned courtyards. Surround yourself with marble pillars and domed glass ceilings by stopping for lunch in Leeds’s Victoria Quarter or Corn Exchange. Both cities have a youth culture founded on live music and underground clubs. Bands Arctic Monkeys, Pulp and The Human League all emerged from Sheffield, and if you want a proper night out, there are plenty of venues where sweat drips from the ceiling and beer flies through the crowd. You know the classic painting of English countryside? Rolling green hills, dry stone walls, occasional sheep and a quaint cottage in the centre. That’s Yorkshire. Wherever you go in the region you’re never more than a 15-minute drive from the picturesque landscape synonymous with Britain. Six times the size of Malta, the Yorkshire Dales National Park showcases these features better than anywhere. Peaks rise higher, hills seem greener and cattle easily outnumber people. When the valleys break into villages they don’t disappoint, with red phone boxes, thatch­ed roof cottages and butchers specialising in cold pork pies. No hike is complete without stopping for a roast dinner in a pub with a roaring log fire. Accompanying your plate of roast meat and vegetables will be a Yorkshire pudding; a giant bowl of batter that most locals seem to believe is the secret to everlasting life. Wash it down with a pint of real ale, and if anyone asks how you are, reply with “not so bad”.